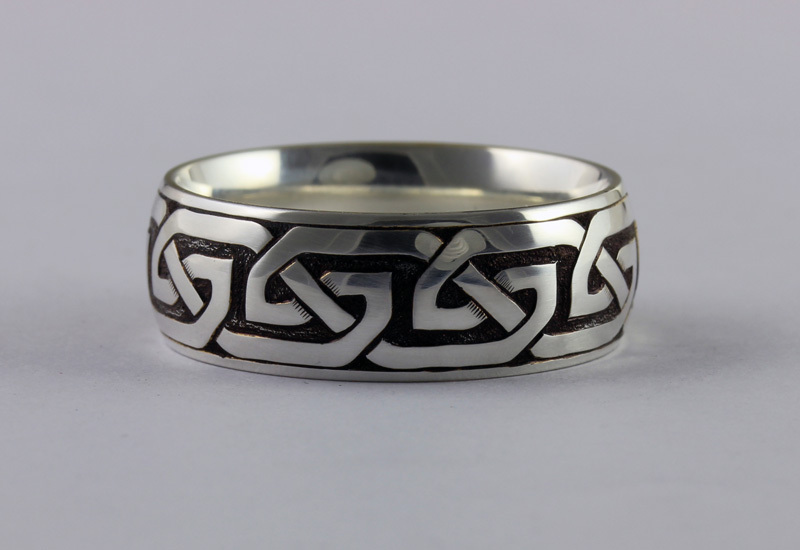 These are high quality Sterling Silver bands hand engraved in deep relief fashion with a unique and continuous Celtic Knot design. 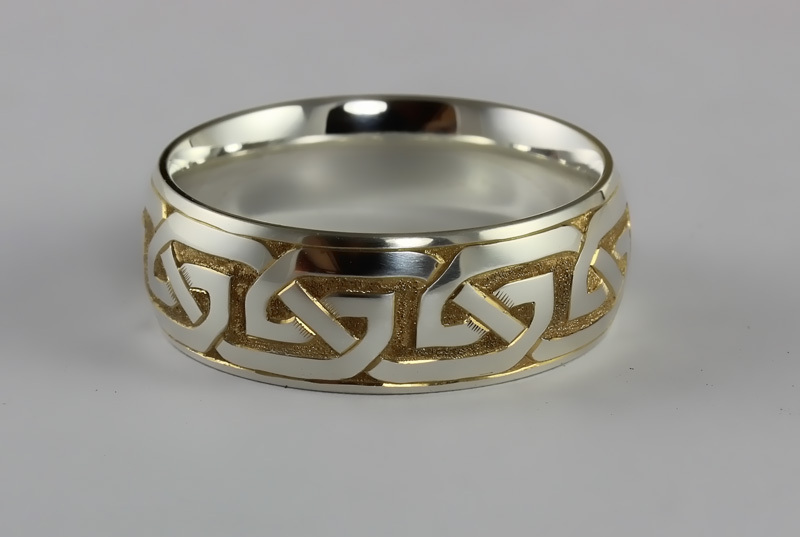 The background in the photo above is plated with 24K Gold. The background in the photo below is blackened with a special enamel for greater contrast. © 2019 DAVID SHEEHAN ~ ENGRAVER. All Rights Reserved.